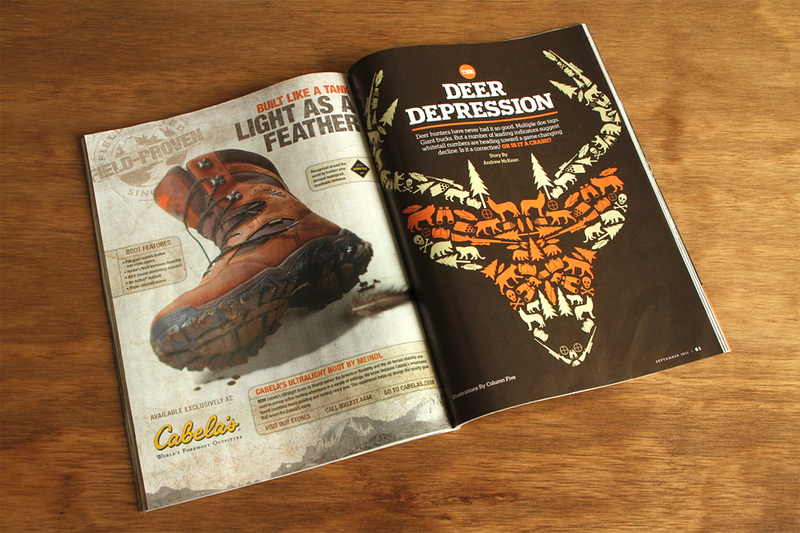 We recently had the honor of working with Outdoor Life Magazine in creating the illustrations for “The Deer Depression” article in the September 2011 issue. 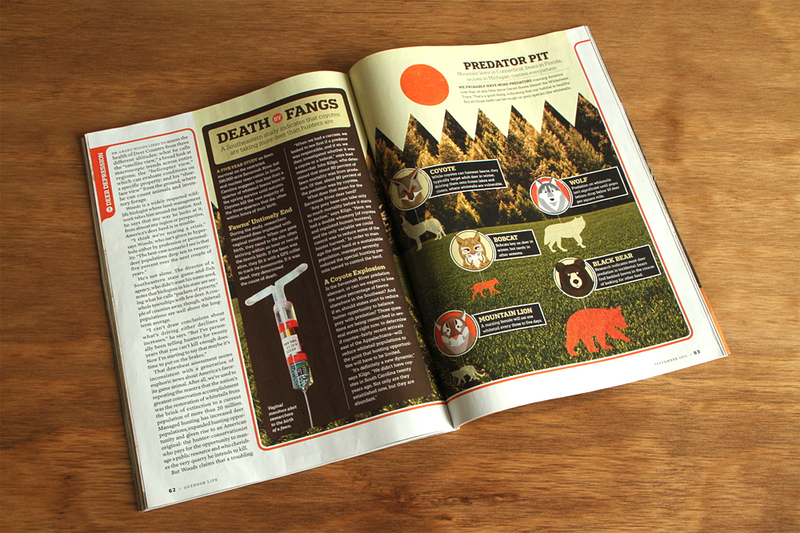 The article looks at how deer hunters have never had it so good. Multiple doe tags. Giant bucks. 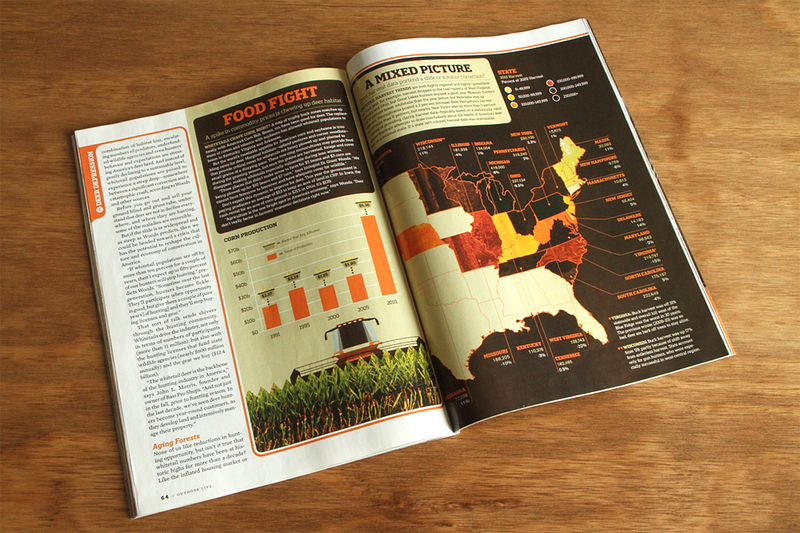 But a number of leading indicators suggest whitetail numbers are heading toward a game-changing decline. Is it a correction? Or is it a crash?